Here’s a quick and easy tutorial to teach you how to install a Donorbox donation form onto your concrete5 website. Now, login to your Concrete5 account, go to your dashboard, and click the “+” tab at the left of your top toolbar. Click and hold the “HTML” icon at the top of the sidebar that just appeared, and drag it onto its desired location on your website. 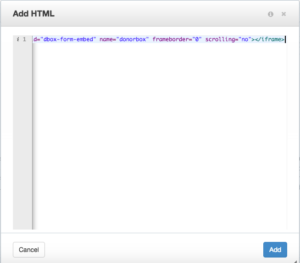 Paste your Donorbox embed code into the HTML text box and click “Add”. 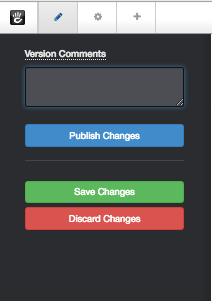 Once you’ve added your code, click the pencil icon in your top toolbar and click the blue “Publish Changes” button. 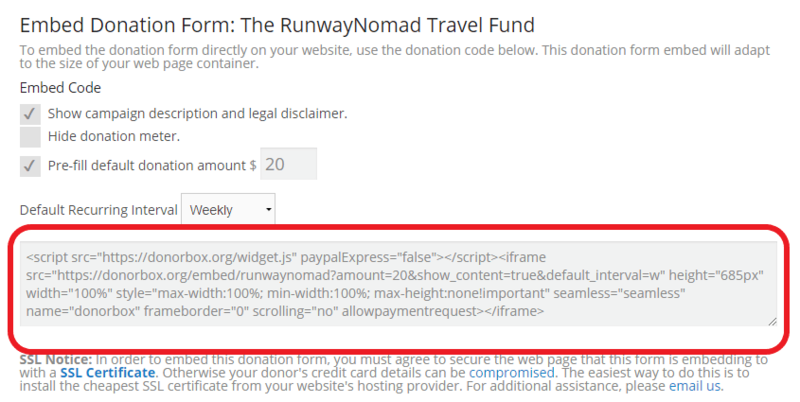 If your donation form seems set too far to the left like ours did (see below), simply click on the HTML block to edit it, then choose “Design & Custom Template”. 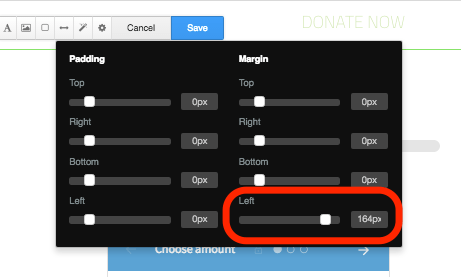 Click on the double-ended arrow in the middle of the toolbar and slide the toggle for the “Left Margin” further to the right.